Bringing YA to YOU! 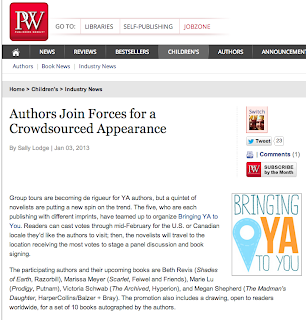 : Thank You, Publisher's Weekly! 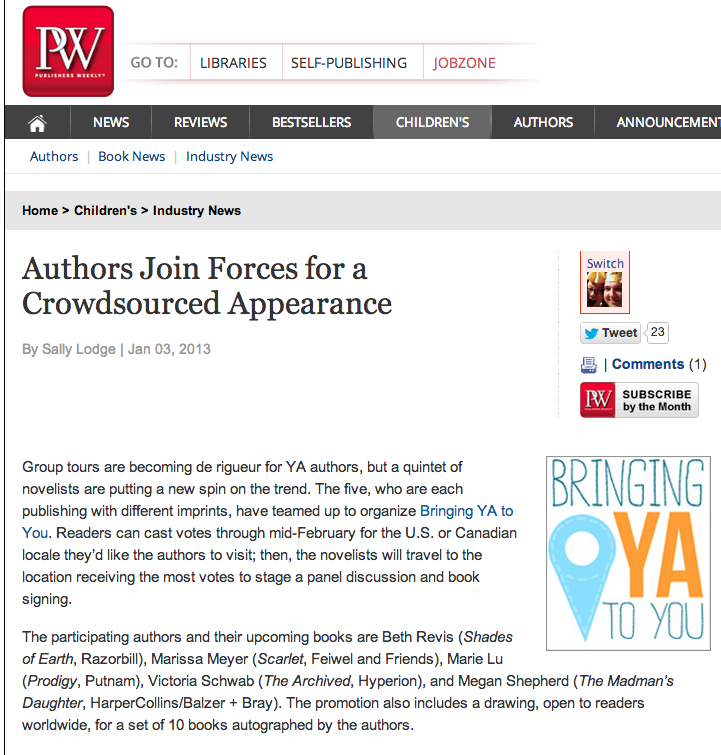 Today Publisher's Weekly featured an article about our modest endeavor--for which we are very grateful! If you'd like to read the whole thing, you can do so here--the author of the article, Sally Lodge, was a great interviewer and really did a wonderful job on the whole piece. Also, just a note: you can feel free to contact your local newspapers and refer them to the "Spread the Word" section of the website, which features a downloadable press release as well as flyers (which have been corrected to show the right dates for the contest).